We should be able to have a sweet treat and think that somehow it is doing us good too!! This is one of those cakes. It doesn’t all have to be BAD!. I just got thinking after the last post about calcium rich food – well, let’s make something delicious for dessert that is also nutritious. 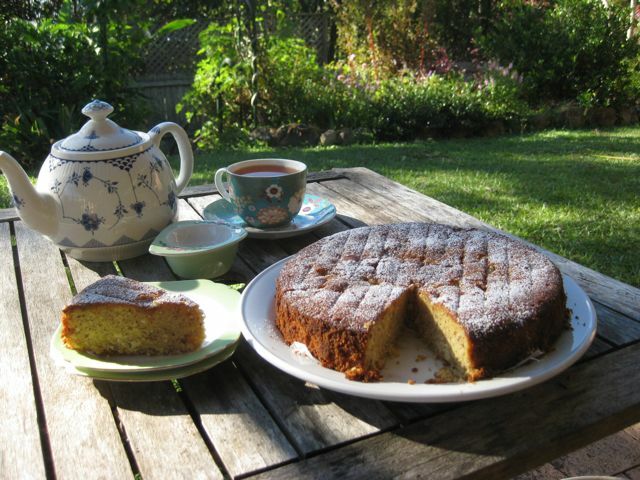 This cake has the added bonus of having no flour – for all the gluten intolerant folk – and as my husband said, as we were having a piece with afternoon tea – this is a real winner – it’s absolutely delicious! 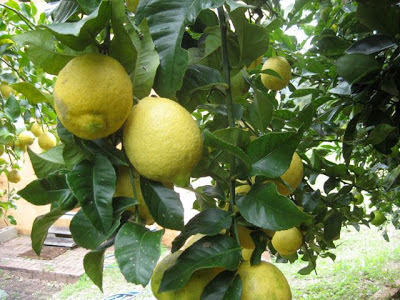 Just also happens to be lemon season with the trees dripping with ripening citrus. I met a lady (Amy) in the playground the other day, when I was taking one of my grandchildren for a swing, who told me that they had fruit trees planted all around their suburb (Ewingsdale/Myocum) as street trees that anyone could pick. Her children were able to pick mandarins at will, and she felt sure that this is the reason why they were so healthy last winter?! 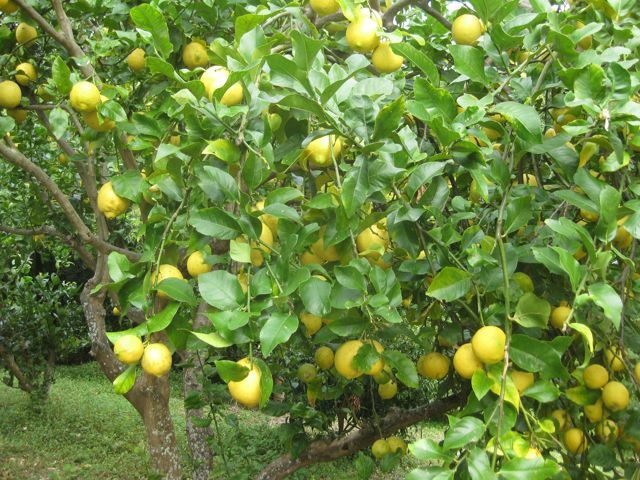 Amy also told me that, where her sister lived in Melbourne, you could access a web map of public land that plotted all the fruit and nut trees – and also had a useful guide for when they where fruiting. What a good idea?! We were playing in the park of a housing development on the ridge at the end of our road (well it used to be a ridge until they bulldozed it flat) and I was asked by the owners to make a ‘sustainable landscaping plan’. I never heard back from them after I suggested that the streets should be planted out with ‘useful’ trees that the residents could harvest on their way to school and while out walking. 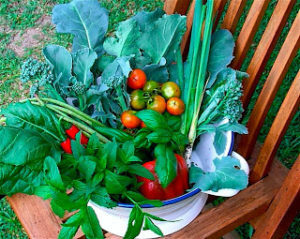 Food forests don’t work out of sight – which is where they wanted to put it. I think I’m just about sick of empty rhetoric. All of the our street trees should beautiful and useful – either to us or native fauna. Nature strips should be full of food plants. If you think I’m nuts look at the Cuban model after the USSR pulled the plug on aid money that they had been dependent on for decades – they turned a dire situation around in a few years and reaped the rewards of self-sufficiency, improved health and a viable economy – by growing food on public land, rejecting the commercialization of our food and growing organically. There, I’m done for now – let’s have the recipe. *NOTE: I use bulk, whole almonds, with the skin on, and grind them myself – it’s cheaper and adds extra fibre to the cake. 2. Line 26cm springform pan with non-stick baking paper. 3. In food processor beat together butter and sugar until creamy, add eggs one at a time. 4. Add remaining ingredients except icing sugar and ricotta. 6. Pour into tin and bake for approximately one hour – test with a skewer that it comes out clean. 7. Cool completely in tin and serve with cream or yoghurt. NOTE: What is high in calcium in this cake – almond meal, eggs, butter and ricotta.